Plus Herbs & Mushrooms for Immunity & Wellness. 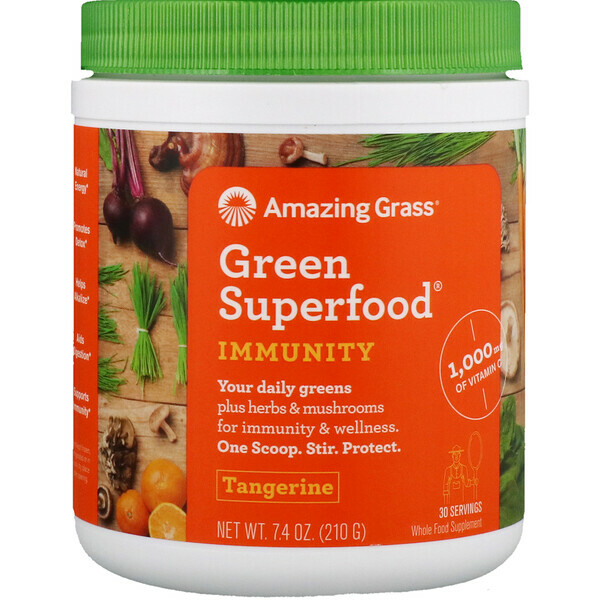 This uniquely powerful blend thoughtfully combines our alkalizing farm fresh greens and wholesome fruits & veggies with immune boosting mushrooms and herbs. With 1,000 mg of Vitamin C and a tangy tangerine flavor, it's a refreshing way to feel amazing everyday. 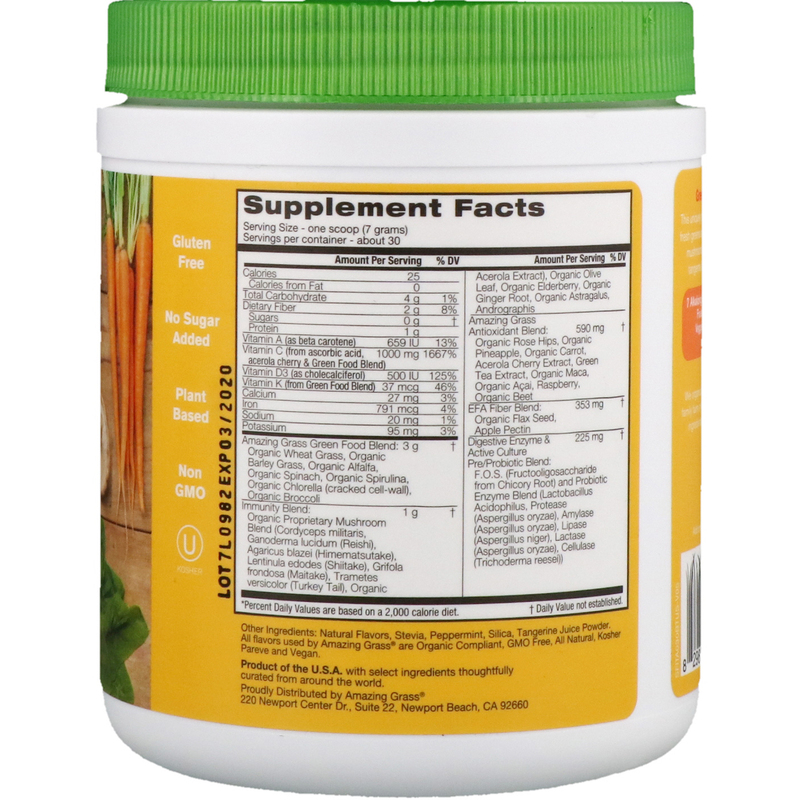 Natural flavors, stevia, peppermint, silica, tangerine juice powder. All flavors used by amazing grass are organic compliant, GMO free, all natural, kosher pareve and vegan.